If you aren't already familiar with Getting Over It with Bennett Foddy (which was released on Steam last December), then odds are you might remember a little browser-based game called QWOP by the same developer. Kiddos everywhere, including myself, wasted hours controlling the runner's individual muscles in a frustration-based exercise that somehow still bordered on entertainment. Well, Getting Over It with Bennett Foddy takes that same anger-induced amusement and turns it up to 11. I don't want to give away to much about the game, it really is something else. But I will say, if you're the sort that is prone to anger or frustration, or just the kind of person that doesn't enjoy "hard" games, this really isn't for you. It's nothing personal, it's just that the game is pretty much built around self-directed anger and disappointment. In essence, the game is a 2d platformer with exceedingly simple controls—simple to the point of vexation. You're a dude in a cauldron. Your finger swings around a hammer, which your character uses to move. You need to get to the top of a mountain loaded with junk. It doesn't sound hard, right? But as the narrative voice of Bennett Foddy will repeatedly make clear to the player during the game, the emergent properties of a simple control scheme and a complicated environment present quite a unique experience. 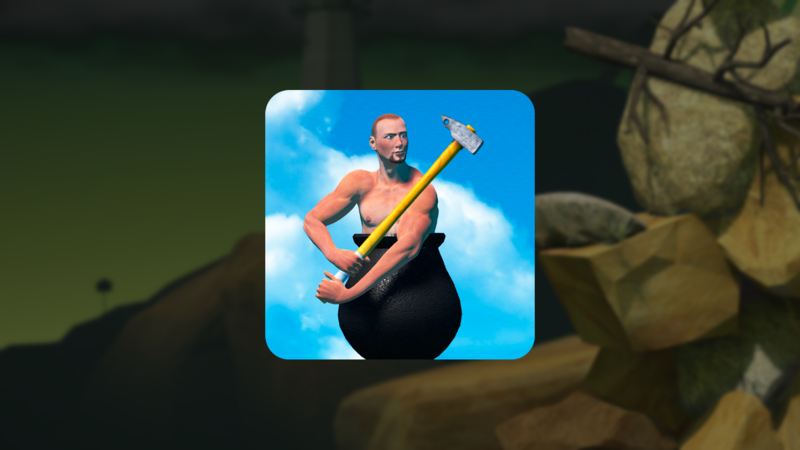 Getting Over It with Bennett Foddy is a mere $4.99 on the Play Store. That's $3 less than the Steam version, for those keeping score at home. The game has no in-app purchases, though it is loaded with snide quotes set to trigger at optimal times for the maximum in self-loathing.